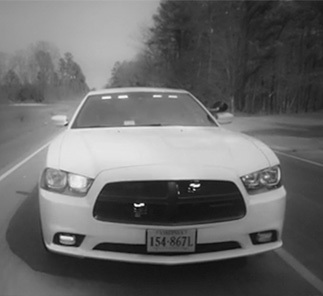 This week, the Elizabeth River Project recognized the Chesapeake Sheriff’s Office for their efforts to decrease pollution and make Chesapeake a more beautiful place to live. 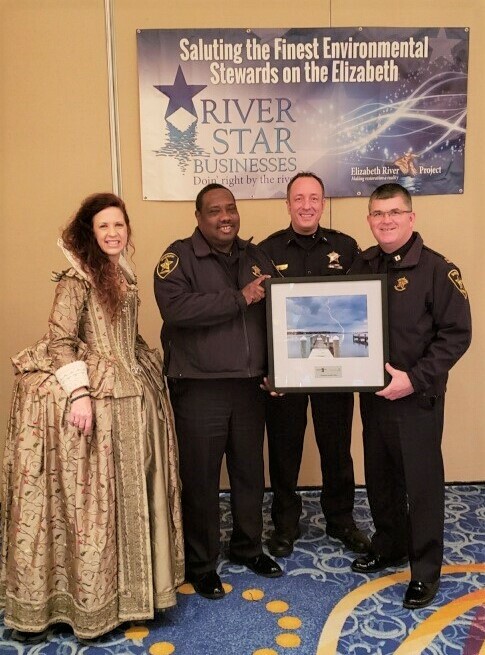 They were honored as one of the 2019 River Stars for their “sustained distinguished performance.” The group cited the CSO’s new Community Programs Center which features green technology such as an elevated generator for resiliency, LED lighting, state-of-the-art wastewater screening, a stormwater wetland, and automatic low-flow fixtures. Captain John Morgan, Lieutenant Herbert Griffin, and Lieutenant Michael Flint accepted the award on behalf of Sheriff Jim O’Sullivan. Captain John Morgan, Lieutenant Herbert Griffin, and Lieutenant Michael Flint accepted the award on behalf of Sheriff Jim O’Sullivan.